Red lights are used in a car to tell you if something’s not right and probably needs very quick attention because continuing on could damage your car or put the driver or passengers at risk. 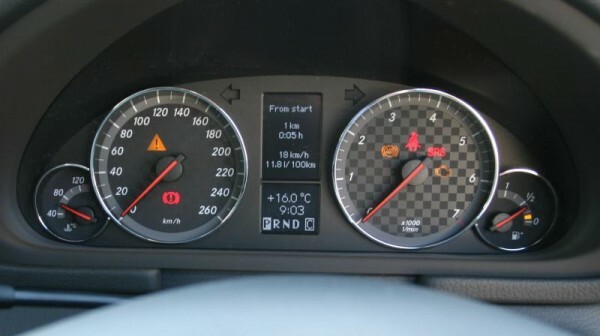 They appear in the area called either the instrumentation, instrument cluster or the supervision cluster – basically it’s where the speedometer and rev counter usually are. There are often two seat belt warning lights in modern cars. One is a red one that is in the instrument cluster alongside either the speedometer or the rev counter, and the other one is frequently above the rear view mirror and monitors all seats. 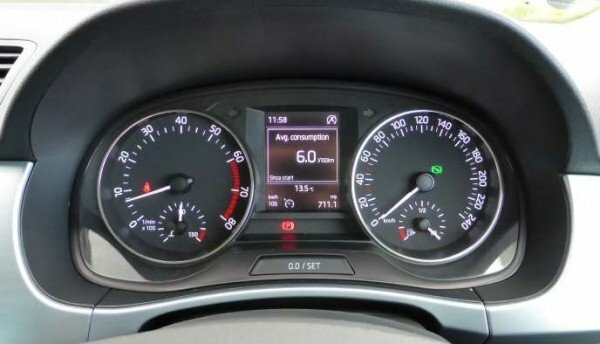 The image below is from a Peugeot and it not only shows if the driver doesn’t have the seat belt fastened, but there are red lights for every seats, plus airbag warning lights. Continuing on without fastening your seat belt puts you at risk if you have an accident. 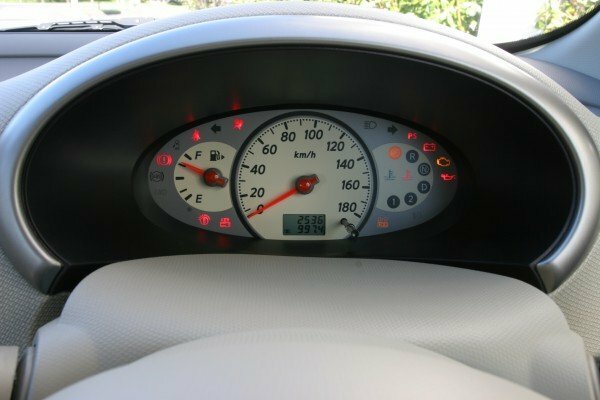 The airbags are connected to sensors which detect sudden deceleration. If the sensor is faulty then the airbag might go off during normal driving, e.g. if you hit a bump in the road, or it might not go off at all. Usually this requires a qualified mechanic to fix. Sometimes the airbag is referred to with a red light that says SRS, which means Supplementary Restraint System. If the light displays in yellow and there are no other warning signs (odd sounds, lack of power, etc), then it’s probably OK to carry on a short distance until you can get it fixed. However, if it comes on red, then you need to stop immediately as you could be doing expensive damage to your engine. The car’s manual will let you know if there’s a specific procedure to follow. There are several variants of brake warning lights. For the hand brake or park brake they sometime have P in a red circle, but this can also be indicated by an exclamation mark in a circle, which shows that the hand brake is on. 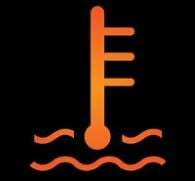 If this light comes on then it could mean that there is a problem with the brake fluid or the brake pads. Use your gears and coast to a stop if possible. If you have ABS, sometimes there are the letters ABS in the centre of the circle. If those come on then you have a problem with your ABS sensors on the wheels. If a door isn’t shut there are two risks: one is that a person could fall out of the door, and the other is that if you have an accident the door isn’t forming part of the structure of the car, and that means the car will crumple around you and won’t protect you as well in an accident. If you are driving with children, this warning light alerts you if one of them tries to open the door. 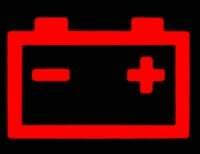 If your battery is not being charged it’s unlikely that your car will stop immediately, but as there is no current going to the battery, some things might stop working. If this happens it’s usually one of the belts in the engine that has failed. This can also cause other problems if that particular belt drives something like the cooling system. If no other lights come on when this light comes on, you are probably OK to make it a few kilometres until you can have it looked it. This is not a good warning to see. Immediately turn on the car’s heater to dissipate heat, stop as soon as you can and switch off your engine. Now turn the ignition on so that the fans keep drawing cool air through the engine to cool it down quicker. Open the bonnet. You’ll need to wait until the engine is cool before you check the coolant level. If it’s low then you’ll have a leak somewhere as engines don’t consume coolant. If you’re in a very sparsely populated area you could try filling it with water, but this won’t get you that much further. Plus, you’ll have to wait until the engine is quite cool before you do this otherwise you risk causing damage as hot metal is forced to cool quickly. This is the main critical warning that you should look out for. If you see this red light come on, you do not have enough oil in your engine. With no lubrication it could seize and that will be expensive to fix. Pull over and turn the engine off. Open the bonnet and find the dipstick. Check the oil level. If it’s empty then you either have a leak or your car is burning oil. It’s not wise to drive any further so, if you don’t have any oil, you will have to get a ride to get some, or get your car towed somewhere. If you do have oil, put the required amount in (keep checking the level). Start the engine and if the light goes off after a few seconds you are good to go, but keep an eye on it, and get your car checked as soon as possible. You can see the red seat belt and hand brake lights in this 2015 Skoda Fabia. 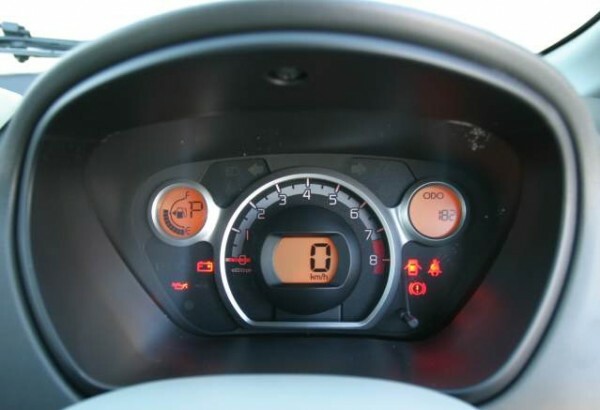 A small screen in between the rev counter and speedometer contains other warning lights that aren’t so important, like the A in a circle at the top which is the automatic stop/start function, and the small circle at the bottom which is the cruise control. In this Mitsubishi i-Car picture the oil, battery, door, seat belt and hand brake lights are all red. This Nissan Micra RX shows almost all the warning lights. From left to right: handbrake, seat belt, lock, key, air bag, power steering, battery, engine and oil. 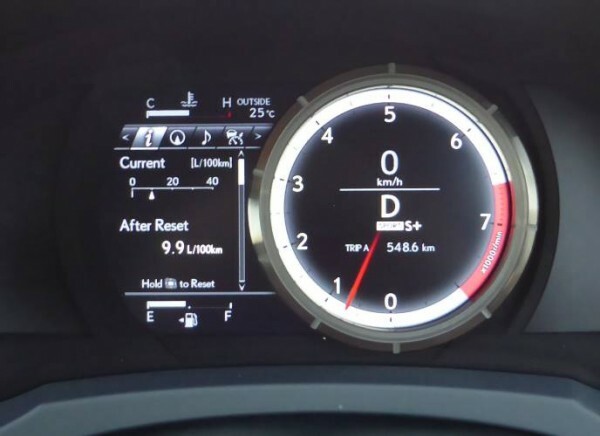 The 2015 Lexus RC350 is a screen rather than a number of separate lights and dials, and this gives more flexibility in how to display information. 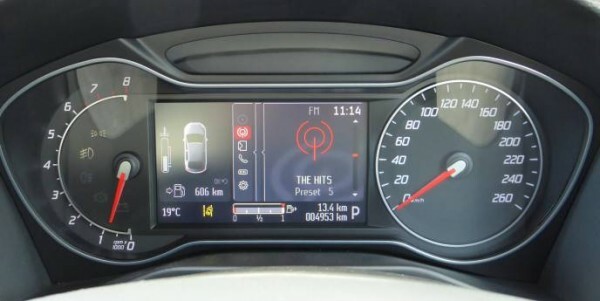 This 2014 Ford Mondeo Titanium Ecoboost has a large central screen, but retains a semi-circle of warning lights just visible on the left in the rev counter. 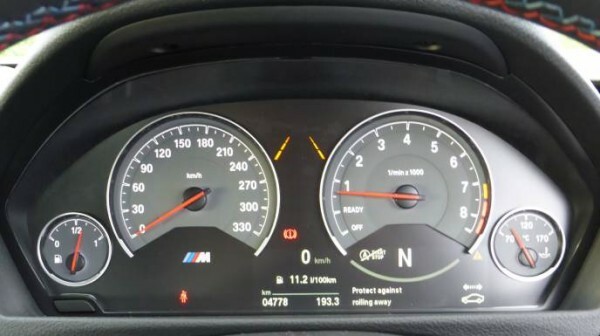 The 2014 BMW M4 Coupe has a clearly laid out instrument cluster showing above that the seat belt isn’t fastened and the hand brake is on. This car also has a variable red-line (maximum rev limit) which changes with how warm the engine is. At the time of the photo, the red-line was 7500rpm. 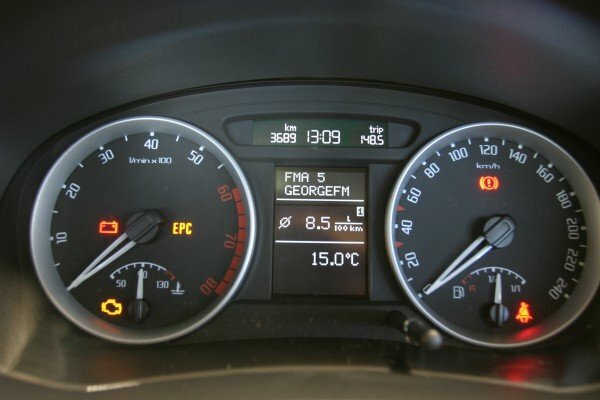 This Skoda Roomster is showing the battery, engine, seat belt and hand brake warning lights. This Mercedes-Benz CLC 200 Kompressor instrument cluster shows that the hazard warning lights are on, as is the handbrake. The seat belt isn’t fastened, the engine warning light is showing, and SRS is showing, too, which is the air bag warning.